"Industry 4.0: Are You Ready?" 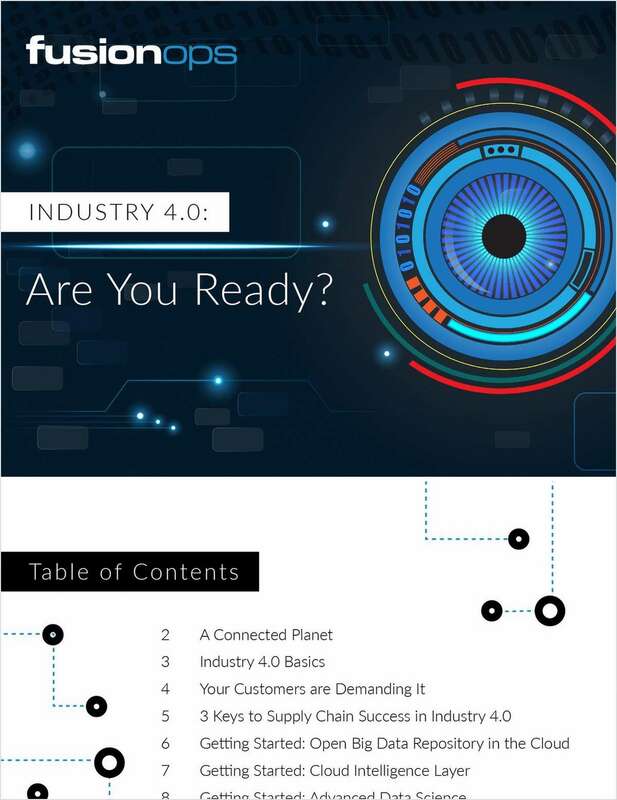 Free eBook: "Industry 4.0: Are You Ready?" Are you ready? The supply chain is moving towards automation - and even awareness - that will change how products are ordered, manufactured, shipped and consumed. This evolution is called Industry 4.0, and it's happening now.